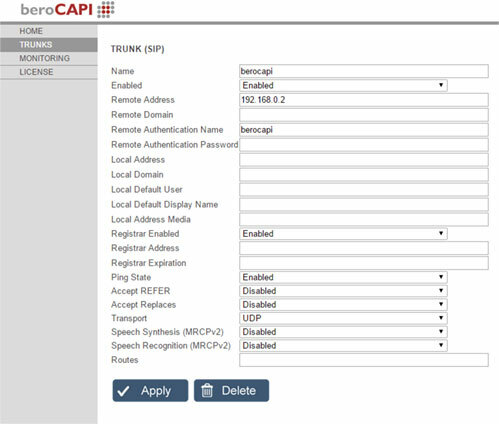 beroNet CAPI (BNCAPI_SOHO, BNCAPI_Business, BNCAPI_extraChannel) is a simple and powerful Software Solution, which enables you to connect your beroNet VoIP Gateways and PCI(e) cards with the existing CAPI applications. 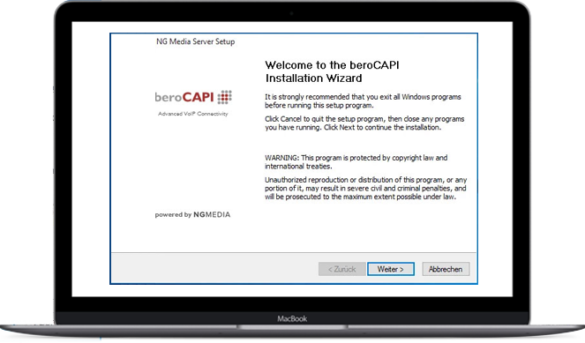 With the help of the beroNet CAPI you will finally be able to virtualize your applications in order to decouple them from ISDN connections. beroNet CAPI and the beroNet CAPI FSC will be available as a software download and are licensed per channel (between 2-60 channels ) and per beroNet device. 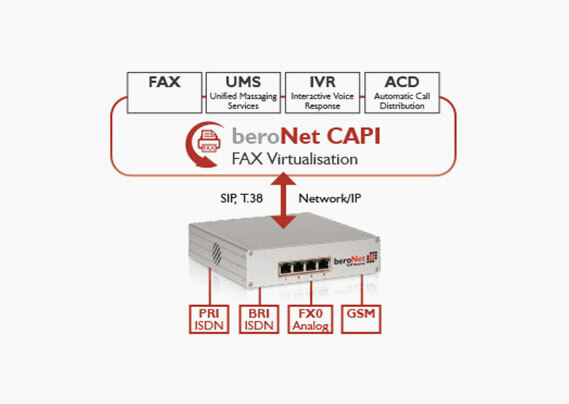 beroNet CAPI is a standalone software product installed on your system, which provides a CAPI Interface and maintains a LAN connection to the beroNet device, using the standard ‘Voice over IP’ protocol stack SIP. Using beroNet CAPI gives you the freedom to use the advanced beroNet Gateways instead of using proprietary ISDN Hardware. 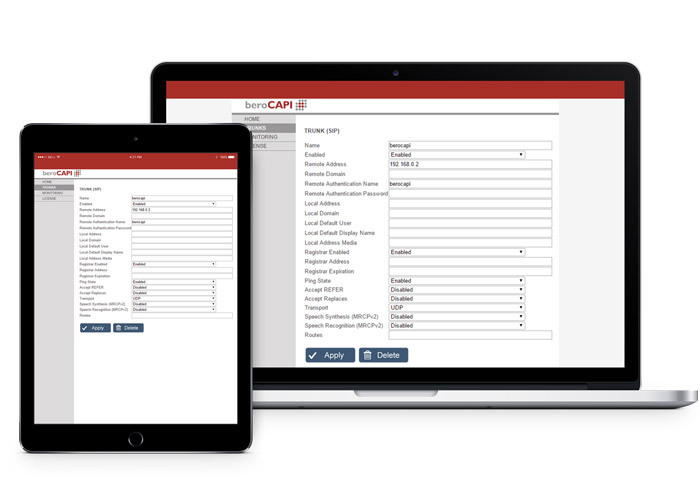 beroNet CAPI opens a way for you to use your existing CAPI application, lower operation and maintenance costs, and have all the advancements of a Virtual Environment. Choose the device with an integrated VoIP Gateway to meet your complete telephony needs. Add a beroNet VoIP Card to the device and gain all the benefits of beroNet OS and beroNet VoIP Gateway modularity. 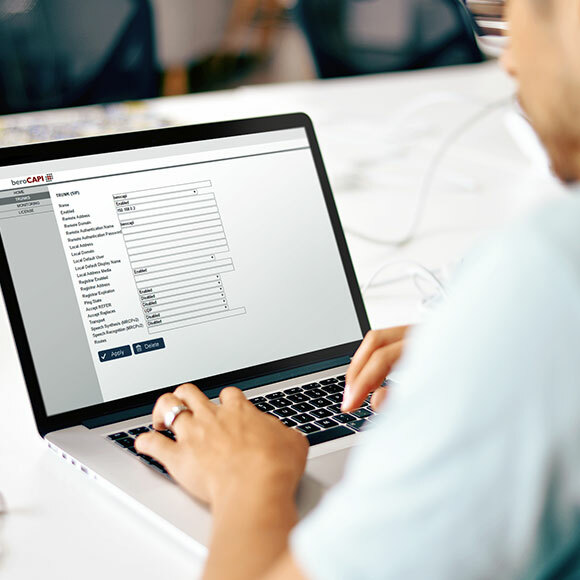 Choose any of our ISDN, Analog or GSM modules to ensure compatibility with your current provider, connect your IP-PBX to analog devices, or configure an ultimate call failover to GSM.